Diversity, courage and quality: those are the trademarks with which MPS – Musik Produktion Schwarzwald – and company founder Hans Georg Brunner-Schwer achieved world-wide renown as Germany's first jazz label. On April first, 2018, MPS reaches a historic milestone: this hallmark of excellence in jazz recording celebrates its fiftieth year. MPS stood as a Mecca for Oscar Peterson, George Duke, the Singers Unlimited, and a host of talented young European discoveries. 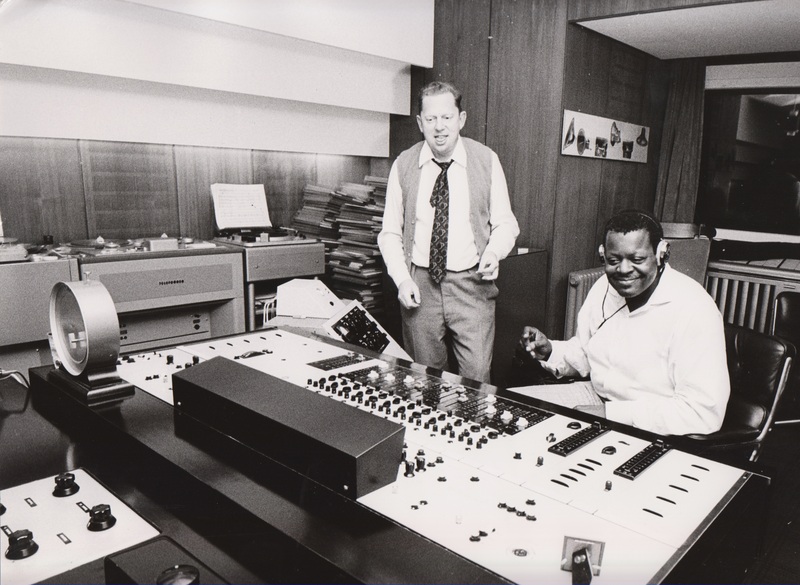 Situated in Villingen, in Germany's Black Forest region, for some two decades MPS studios wrote pioneering jazz history through its high-level recording technique and unmistakable aesthetic. Today, the "most perfect sound made in the Black Forest" continues to perk up the ears of analogue fans worldwide. Next, a historical sketch. The label's actual birth was in 1968, but it had a colorful prelude that entails the famous initials HGBS. As co-owner of the electronics manufacturer SABA, Industrialist Hans Georg Brunner-Schwer (HGBS) was not only an ardent audio engineer; he was also an amateur pianist who was crazy about music. In 1958 he built a recording studio above the living room in his villa. It contained the most sophisticated audio equipment available at that time. 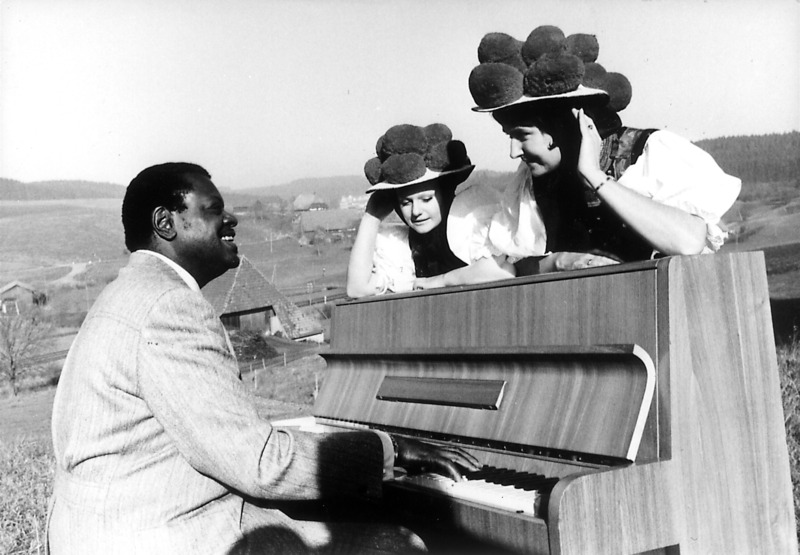 When Oscar Peterson came to Zurich to perform a concert in 1961, Brunner-Schwer lured Peterson to his villa to play the first house concert in the Black Forest. The Canadian was so impressed by HGBS's recording of the concert ("I never heard myself like this before..."), that he decided to come back every year for another living room session. Meanwhile, starting in 1963 HGBS began to produce records under the label name SABA. The recordings included pianists Wolfgang Dauner and Horst Jankowski. George Duke also appeared as guest for the first time in 1966. When Brunner-Schwer left SABA in 1968, he founded MPS (Musik Produktion Schwarzwald (trans: Black Forest Music Productions). The Peterson recordings were the first release under the new name; this became possible because Peterson had finished his contract with Verve. It was the beginning of an illustrious catalogue that by 1982 contained over 500 releases. The studio eventually moved to a building on the factory grounds on Richthofenstrasse, a stone's throw from the family villa. HGBS continued to commit himself to recording pianists, from Eugen Cicero through George Shearing on to Monty Alexander. Over time, MPS evolved a treasure trove of recordings, with gems from virtually every musical direction. The recordings no longer took place solely in Villingen; there were now New York studio sessions and live recordings at the Berlin Jazz Festival. Close teamwork with such masterful sound engineers as Willi Fruth and Rolf Donner guaranteed that the demand for a high-quality sound aesthetic would be met, and many new talents were brought into the MPS fold through the mediations of the reigning high priest of jazz, Joachim-Ernst Berendt, who at that time worked at the nearby Südwestfunk (Southwest Broadcasting) station. Alongside the pianists, violinists are the second most prominent instrumental group featured. Old masters Stéphane Grappelli and bluesman Don "Sugarcane" Harris, as well as young lions Jean-Luc Ponty and Didier Lockwood were just some of the violinists who gathered together under the MPS insignia. Such international jazz greats as Freddie Hubbard and Jim Hall enriched the catalogue. The big bands of Dizzy Gillespie and Count Basie, Peter Herbolzheimer's Rhythm Combination and Brass, as well as the popular jazz orchestras of Kurt Edelhagen and Erwin Lehn became regulars on the MPS label. The human voice also rose to new heights in Villingen: with Singers Unlimited, Brunner-Schwer sounded out the possibilities of vocal track overlays. It was at a Singers Unlimited multi-track session that the famous MPS slogan "the most perfect sound" came into being, signifying the company's special status on the international stage. MPS continued to be a pioneer as it explored around jazz's jagged edges. What began to work its way into the mainstream as "World Music" in the late 1980's had already found a home in the 1960's in the MPS recording series "Jazz Meets the World" by Joachim-Ernst Berendt. Clarinetist Tony Scott hooked up with Balinese musicians, pianist Irene Schweizer with musicians from India, and pianist George Gruntz got together with Arabic players. Then there are the legendary collaborations between US alto saxophonist John Handy and Indian sarod player Ali Akbar Khan, and the stylish recordings of Brazilian guitarist Baden Powell. Vibraphonist-marimba player Dave Pike became a favorite of MPS, enriching the label's groovy side with his Indian-influenced tonalities. There has always been a prominent place for young German musicians within the European section of the MPS catalogue, and it continues to make an impression on the evolution of German jazz. MPS was instrumental in putting such performers as Volker Kriegel, Wolfgang Dauner, and the two Kühn brothers, Joachim and Rolf, on the international map. Albert Mangelsdorff and Gunter Hampel, two distinctive performers out of the Avant-garde and free music milieu, found their space on the MPS label alongside the likes of internationally renowned musicians Archie Shepp and Cecil Taylor. Eventually, MPS devoted itself to classical music. A Bösendorfer Grand Imperial, the "Rolls Royce of concert grands", was bought for pianist Friedrich Gulda's use. The piano still stands resolutely in place in the studio, along with the original red markings signifying the ideal positions for the recording mikes. In 1983, Brunner-Schwer sold most of the rights to the MPS recordings to Polygram, who subsequently released a number of MPS recordings in CD format. In 2014, ten years after Brunner-Schwer's death, the MPS catalogue found a new home, the company Edel AG. Edel began updating the MPS history, forging ahead in new directions. The MPS catalogue's vast treasure was once again made accessible to the public, as, LP-by-LP, all the albums were digitalized, and specially chosen albums were re-released in the highest audio fidelity on vinyl and tape. These include recordings Oscar Peterson, George Duke, and Monty Alexander. Parallel to this, after a 30-year pause, MPS has begun writing a new chapter with a wide stylistic spectrum of brand-new releases that include clarinet legend Rolf Kühn, soul songstress China Moses, Berlin jazz marvel Lisa Bassenge, Brazilian mandolinist Hamilton de Hollanda, and world music star Mari Boine. MPS has already received three prestigious ECHO (German Grammy equivalent) awards for its exciting, open-ended repertoire of new recordings. The release-renaissance continues in 2018. Rolf Kühn has returned to the studio, as has the charismatic jazz singer Malia and the experimental vocalist and arranger Erik Leuthäuser. Beginning in April, the "Ambassador" series bridges the gap between present players and past MPS milestones. Heavy hitters, ranging from Gilles Peterson and Ed Motta on through to Till Brönner and Götz Alsmann, will present their favorite albums out of the Black Forest catalogue, and include their own personal impressions as liner notes. Naturally, the re-releases are all new pressings of these MPS classics.